Kennedy paints a picture of a news venture that’s succeeding primarily because of its intimacy with its subjects. Indeed, as the title suggests, the Independent sees its job as not only to report the news of the community but also, as one philanthropist put it, to foster a sense of community. 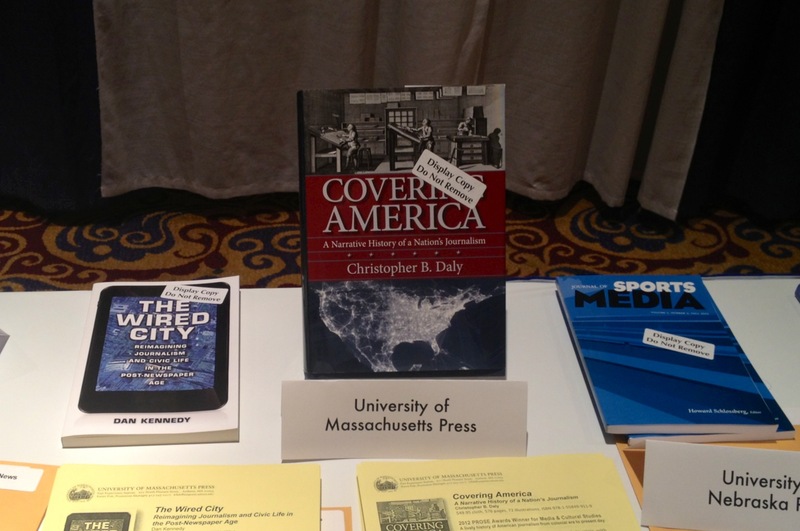 My friend Chris Daly of Boston University took this picture of our books side by side at the conference of the Association for Education in Journalism and Mass Communication, being held in Washington this week. Last summer I wrote about his book “Covering America” for the Nieman Journalism Lab. My wife, Barbara, took this picture in the Salem Public Library. All right, then! 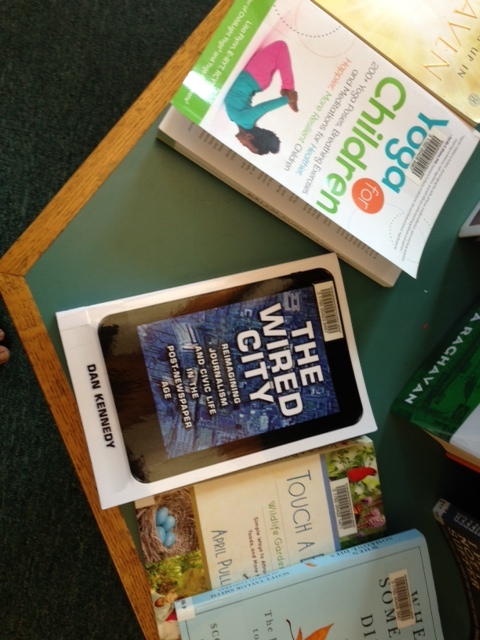 I got some great news earlier today: the Kindle edition of “The Wired City” is now available at Amazon.com. 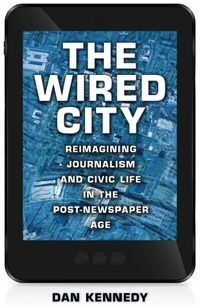 I do virtually all my book-reading on my iPad using Kindle software, even if I have a hard copy — so I know how important it is to make “The Wired City” available electronically. Thank you for your patience.